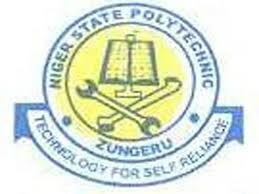 Niger State Polytechnic, Zungeru Remedial (Pre-ND), Polytechnic Diploma, and IJMB Programmes Admission Forms, Courses, Subject Combinations, Admission Requirements and Application Procedures for 2018/2019 Academic Session. Applications are invited from suitably qualified candidates for admission into the Niger State Polytechnic, Zungeru Diploma, Pre-ND, IJMB and Remedial Programmes for the 2018/2019 Academic Session. One (1) Year Full-time Remedial (Pre-ND) Programme. One (1) Year Full-Time IJMB Programme. 063 Geography, Physics, A/L Maths.